Synonyms: Sandoricum indicum, Sandoricum nervosum, Melia koetjape. Other names: Donka (Srilanka), kompen (Indonesia), tong (Laos.). Santol is a tropical fruit native to Indochina region. 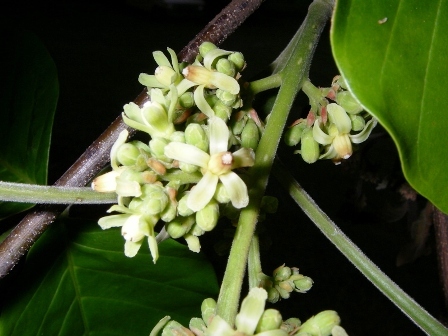 It was introduced to India, Srilanka and many countries of South East Asia long back and has become naturalized there It has also been introduced to Australia and USA. Santol is strictly a tropical plant and does not grow above 1000 m. It is commonly cultivated in Asian countries and fruits are abundant in local markets during the season. 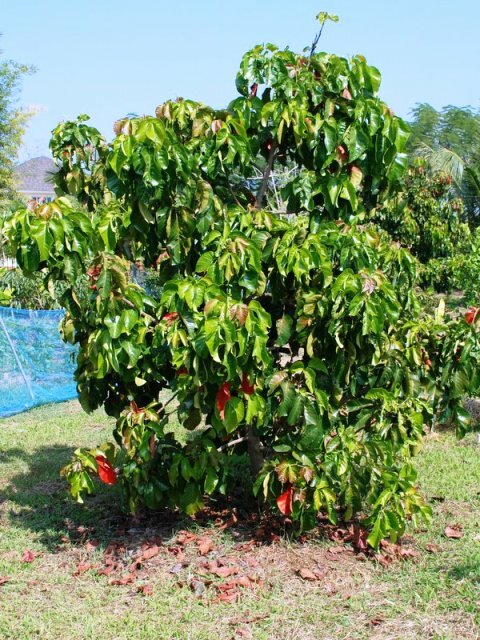 Santol is a very elegant fast growing tree which cans attain height upto 50 m. It also makes a good shade tree. Leaves ar mostly trifoliate, but sometimes the number of leaflets may be more; leaflets broadly ovate to ovate oblong, abruptly acuminate; flowers in narrow axillary panicles, yellow, faintly fragrant. Fruit a berry, globose or somewhat flattened, 6-7.5 cm wide, yellow and velvety when ripe, each containing 2-5 brown coloured inedible seeds. The edible part of the fruit is fleshy aril. The pulp, which is sweet and sour, is eaten with spices or made into a preserve or jelly. The young fruits are candied. The ripe fruits have a vinous taste. They are fermented and mixed with rice to prepare an intoxicating drink. 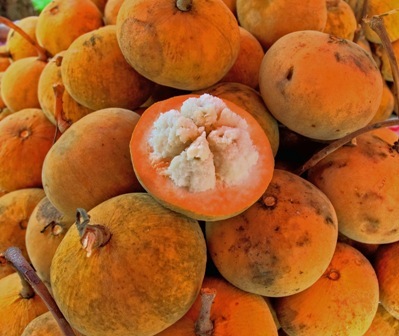 Santol is a good source of vitamin C containing 80-90 mg of this vitamin per 100 g of pulp. There are two types of Santol viz. yellow and red. These were earlier considered as species. In yellow type, the leaflets which are 15 cm long, turn yellow when old. The fruit have a thin rind, and a characteristically sweet pulp, 0.6-1.25 cm thick, around the seeds. The fruit may not fall when ripe. Only the Yellow is now found wild in Malayan forests. The leaflets of the red type are 30 cm long, velvety beneath, turning red when old. The flowers are greenish or ivory borne on 30 cm long panicles. The fruit has a thicker rind, frequently to1.25 cm. The pulp is less and tastes sour. The fruit falls when ripe. Santol can be multiplied by seed, air layering, inarching or even budding onm its own seedlings.